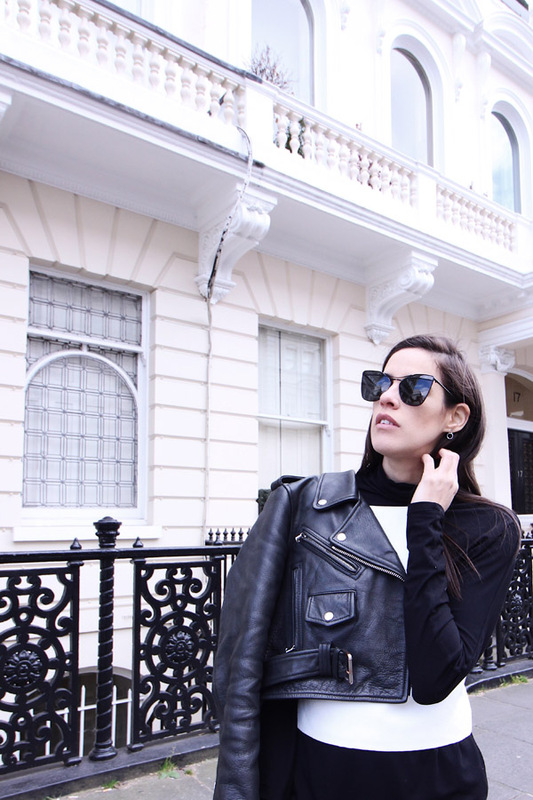 WEARING: Dezzal Top, American Apparel Leather Skirt, Breda watch, Celine Sunglasses, Mackage Bag. The Off-The-Shoulder trend isn't going anywhere anytime soon. I decided to do a feminine take on it with this top from Dezzal and paired it with a mini leather skirt. This photos were taken before I left for my vacation when I went out for a belated birthday brunch. The top is super comfortable and versatile. Looks good with skinny jeans as well. Are you guys are still loving this trend or over it? I will have lots of beautiful nature photos when I get back from my holidaze. I hope August is going to be amazing for all of us! I'm still feeling it, more so now with that gorgeous and unique top. It's fairly chilly on my side of the world though, so I can't really indulge in it much. this is such a cool top, never seen anything like it!! So original the top! You are amazing! I'm loving Dezzal right now, this off shoulder top is super cute! That is a new and lovely take on a white shirt. I enjoy the trend but it doesn't make me run to the store and look for a shirt with bare shoulders. When a piece speaks to me I'll buy it. I would love your version though. It's special. And you styled it perfectly. I love everything about the outfit.